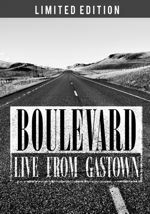 Forming in Calgary in 1983, Boulevard, or BLVD as they were originally known were signed to CBS Records Germany, of all places. However despite the band decamping to Germany and shooting a video for 'Rainy Day in London', both band and label were duly surprised to find that the single had made #45 in the German singles chart. Buoyed by the success of the single the band returned to Canada where they continued to write and record, and despite the odd line-up change they signed a major deal with MCA records in 1987 which led to the debut self-titled album being released in 1988. MCA threw their weight behind the band and Boulevard scored two top thirty single successes in the Canadian charts. 'Never Give Up' and 'Far From Over', both had video support and were pretty much staples on Much Music in Canada. The further release of 'Dream On' gave the band yet another hit single making it inside the Top 40. 1990 saw the release of 'Into The Street' preceded by 'Lead Me On', which made it to #21 in the Canadian singles chart followed by the massive 'Crazy Life' which stalled at #47 following a record company clear out during which Boulevard found their support network at the label decimated in the shakeup. The band went on extended hiatus in 1991 until a chance phone call in 2013 led to the band playing their first gig in 22 years at Firefest in the UK. Greeted like long-lost heroes by the faithful, and a somewhat more reserved greeting by the as of yet unconverted, Boulevard showed exactly why they are held in such high regard with a stunning performance that had 1900 people on their feet shrieking for more as the band ended what is now considered to be one of those once in a lifetime performances that only some ever have the chance to experience. On returning to their native Canada the question was posed, "Why the hell aren't we doing this more often?" The answer? Well no- one had one. Going into the world renowned Warehouse Studios in Vancouver and playing thirteen of their best known songs including the five Canadian hit singles in front of a handpicked audience, each with a set of headphones receiving a perfect audio mix, just seemed like the right thing to do. Not only that, but to record it for DVD. Why? The answer is simple really, because despite numerous requests for one there was nothing usable from back in the day, so why not record exactly what people wanted to see and hear with brand new technology. 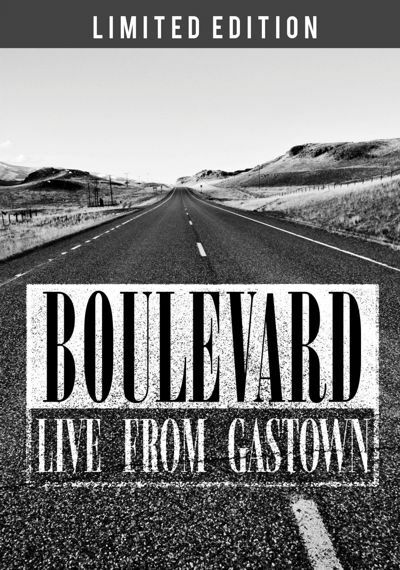 Containing thirteen tacks, stunning state of the art mix from what is essentially a front row seat in the house, this is a personal memento of how it should be done and is the first and only commercially available Boulevard live recording during the band's 32 year history. This is a LIMITED WORLDWIDE release! 500 copies only available in the USA and Canada in NTSC, and 500 copies only available in Europe in PAL format. The DVD can be ordered directly from www.firefestofficial.com or Rocktopia in Europe and www.boulevardband.com in North American and Canada. Pre orders available from Monday November 30th and the DVD will ship from December 7th – just in time for that perfect Christmas treat. 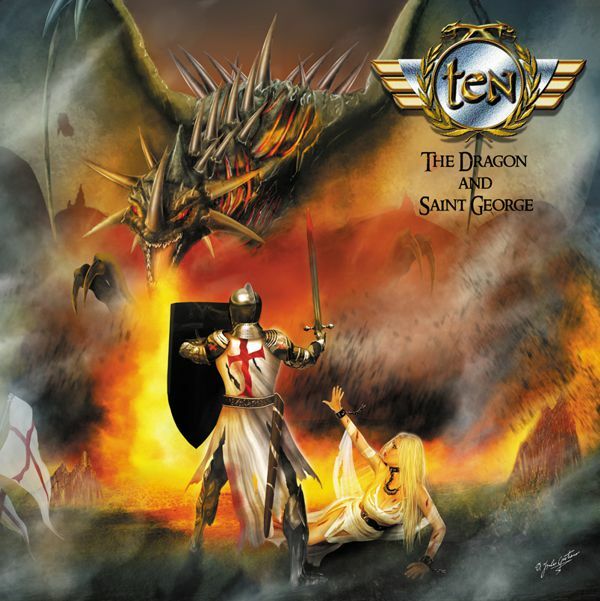 Ten to release 'The Dragon And Saint George' 12" Picture Disc - Pre-Order Your Copy Now! The first week in December sees the release of the first EVER Ten picture disc, with the stunning 'The Dragon And Saint George EP' in glorious 12" vinyl. 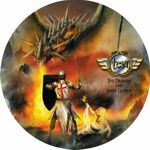 At first, the 4 month manufacturing turnaround seemed a big disappointment, but then we realised this would allow us to use the 'Albion' Japanese bonus track for this release, so not only are the awesome THREE unreleased tracks featured on here ('Musketeers – Soldiers of the King', 'Is There Anyone with Sense?' and 'The Prodigal Saviour'), we also have 'Good God In Heaven What Hell Is This' making up a stunning seven song Ten collection. Restricted to a very limited 350 copies, this glorious picture disc will be available for £10.99 plus postage, with pre-orders being taken now. All orders will be sent out as soon as our stock arrives, and will be THE PERFECT stocking filler for this Christmas. The EP will be released in the first week of December 2015 ... preorder your copy NOW. Only 350 copies available! After a successful first radio single 'Tell Me What To Do', it's time for that master song-writer Gary Hughes to show us what he can do with a ballad. 'This Love' is the second single to be lifted from Ten's new album 'Isla De Muerta', with this gorgeous lyric video created by the director of all previously released Firefest DVDs, Bernhard Kellerer of Transistor Pictures & Rocktopia. 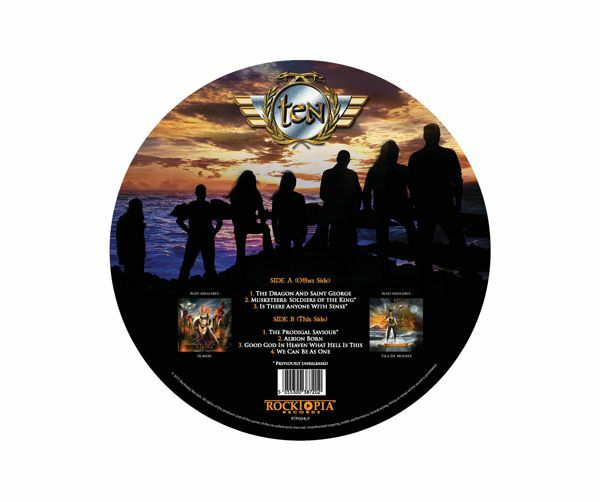 There are still limited signed copies of the album available from www.rocktopiarecords.com. The EP will be released on September, 4th 2015 ... preorder your copy NOW! 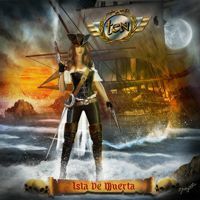 May 20th sees the release of the new Ten album 'Isla De Muerta' on Rocktopia Records. Following on from the massive success of 'Albion' released in Nov 2014, 'Isla De Muerta' sees Ten continue their extremely rich vein of song writing form, however this time gravitating towards a nautical theme in difference to the strong Celtic themes of 'Albion'. With absolutely STELLAR reviews being returned for 'Isla De Muerta' so far, many even more complimentary than Albion, Ten have now proven that the band are re-energised and re-establishing themselves as one of the most potent forces in the field of melodic hard rock today. The lead single 'Tell Me What To Do' has been the most added track to international radio stations last week and continues to force its way into almost every rock play-list on every station across Europe, with additions also in the USA, Canada, Brazil and, of course, Japan. The accompanying lyric video for Tell me what to do is intended to offer the listener just a little taste of what to expect from the album, and will no doubt whet the appetite for the full release which can be ordered in advance through www.rocktopiarecords.com, the first 250 copies of which will be autographed by Gary Hughes. With 'Albion', Ten re-established themselves as a major force in the Melodic Rock world, and now with 'Isla De Muerta' the band have taken the next step, at all times proving form is temporary whilse class in permanent. 'Isla De Muerta' will be on many album of the year lists come December, and deservedly so. In the meantime enjoy 'Tell Me What To Do' and remember, there is much, much more to come on May 20th. 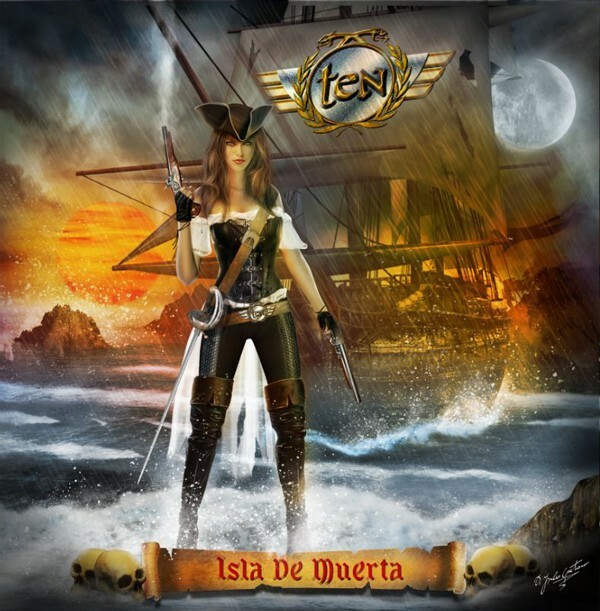 TEN - 'Isla De Muerta' - PRE-ORDER NOW!